Kempinski Hotel Mall of the Emirates is the world's third largest indoor ski resort with one of the world's longest indoor ski slopes and the biggest covered snow park. Also attached to the biggest shopping mall outside North America, the truly unique and elegant five-star hotel in Dubai with an experience tantamount to a luxury alpine retreat at a snow dome in the desert. One of the unique features of the hotel is Glass bridge fitted with dormakaba Rodan and Manet construct, each panel on the bridge can be opened, which has laminated sheets with gold threaded fabrics to diffuse harsh lighting giving an astoundingly luxurious ambience. dormakaba HSW frameless glass sliding partition systems open the way to all five senses. 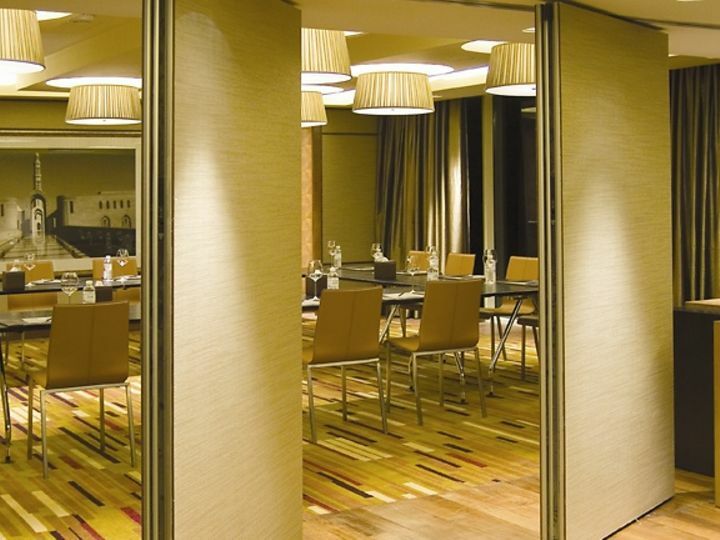 dormakaba Hüppe Variflex provide Intelligent solutions for sophisticated interior designs a the ballroom. When all revolves around energy saving and effective separation between the internal and external climates dormakaba KTV revolving door systems provide the best solution at Ski Dubai resort at Kempinski Mall of Emirates.